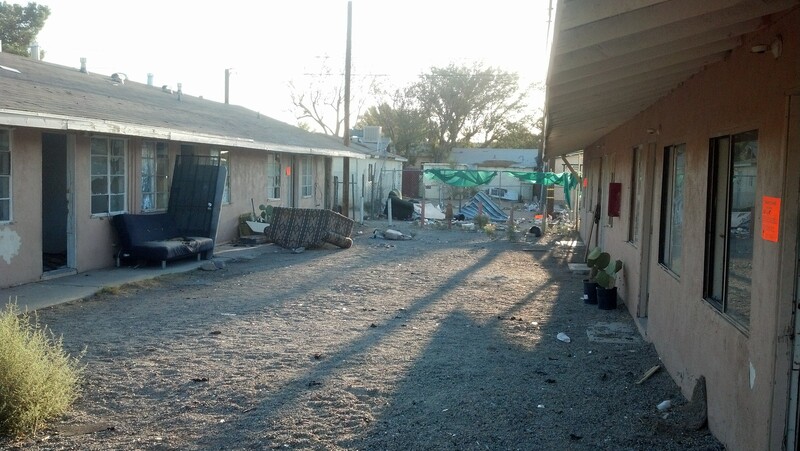 On Friday August 16, determined Mojave residents spontaneously assembled to clean up and secure an abandoned apartment complex in our downtown area, which had been the largest single source of drugs and crime in town. “The Sheriff was called to this property over 40 times in one month” according to a neighbor. 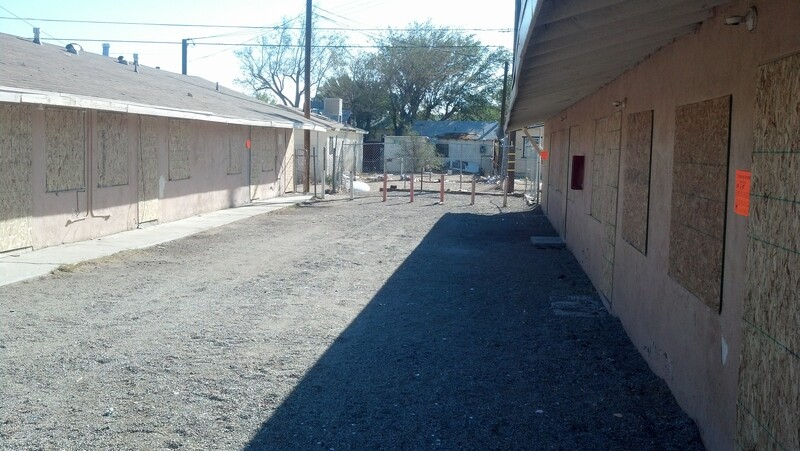 Now the entire structure is boarded up and Mojave is safer and healthier for having it off the street. The cleanup was initiated by local resident, Dorothy Galton, who was tired of seeing all the problems emanating from this property. “Why don’t we Revitalize this?” Dorothy asked provocatively. Within 24 hours 7 volunteers stepped forward to tackle the problem, and several more joined in while walking by. 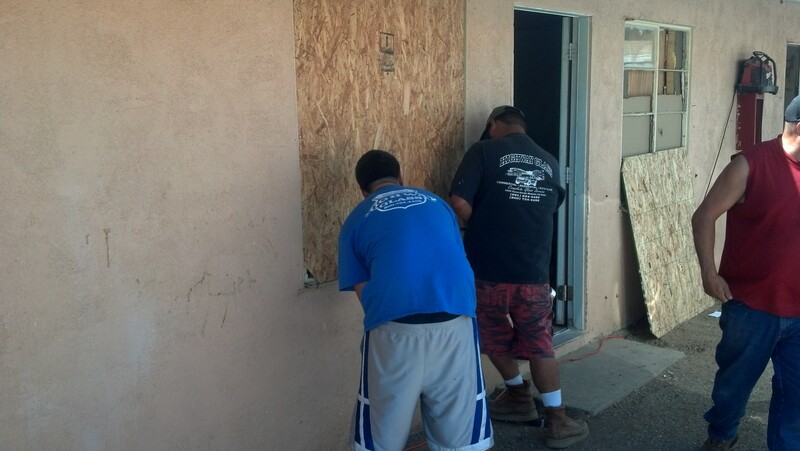 Their efforts were match when a local business, Highway Glass, offered to board up all 10 units in both buildings. Karl’s Hardware even donated the materials. The speed with which this project took shape was impressive and powerful, and goes to show what a handful of highly-motivated volunteers and concerned businesses can accomplish. The Mojave Foundation is proud to be part of this spontaneous effort, and we are hopeful this can serve as a model for future intra-community cooperation. 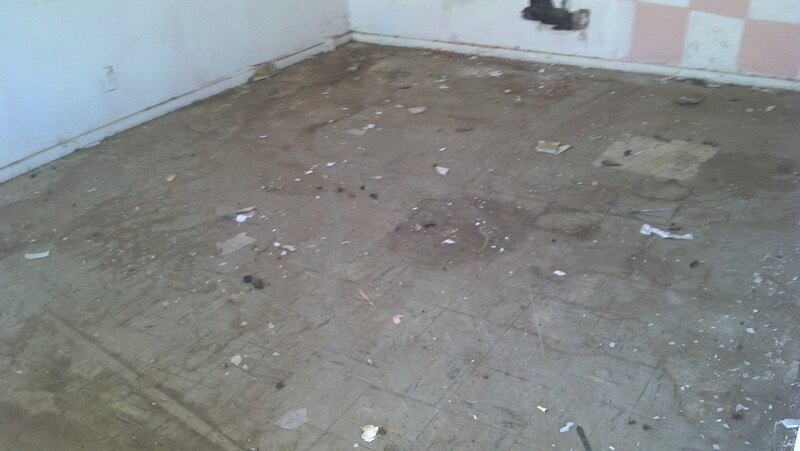 Perhaps the best part about this cleanup is that it ensure that children will no longer be abused and neglected in this building. 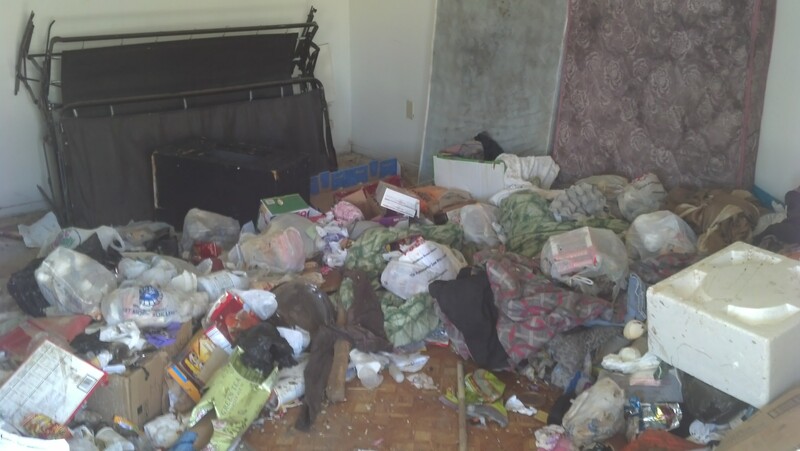 “People were raising children in there,” according to one volunteer, “we pulled baby formula and diapers out of the same piles of trash with hypodermic needles and human waste”. The Mojave Foundation will continue working to ensure that every child in Mojave has a safe and healthy environment to grow up in. Our Children are our greatest resource, and each one is entitled to grow up with dignity and happiness. 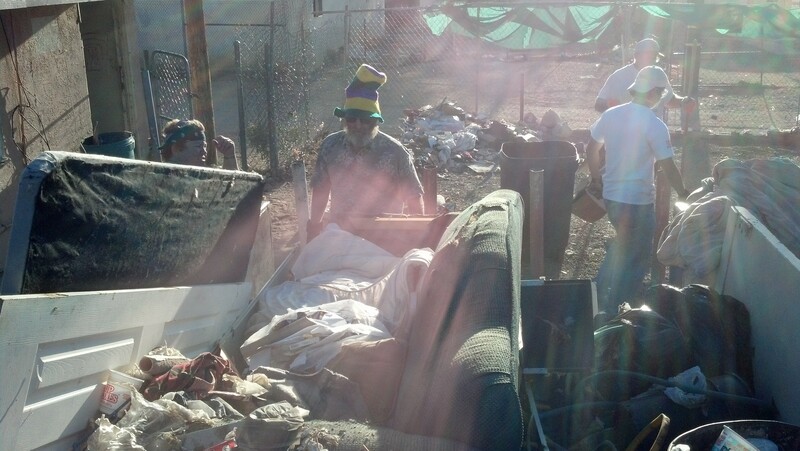 This entry was posted in Uncategorized on August 19, 2013 by mojavefoundation.